You’re invited to the first full ensemble fall concert of the school year this Thursday 11/2/17 @ 7:00 pm in the RMHS Auditorium. Your Grizzly Marching Band won big at District III Saturday. They competed in the 5A Small division on the ‘blue’ in the season finale. Here’s the list: 2nd Auxiliary, Best Percussion, Best Music Performance, Best General Effect, and SECOND PLACE IN THEIR DIVISION! 🎶 A video of the performance has been emailed to students and pictures will be posted here later. Good job to all 89 of you and the staff! Thursday 10/26 @ 8:30pm GMB will perform an “open run” of the full show in the RMHS stadium. Come support the kids in their final rehearsal before the D3 competition on Saturday. You can buy your D3 tickets afterwards too. The final District Marching Band Competition of the season is coming up. Please support GMB and cheer them on while they perform on the ‘blue’. Buy your tickets @ the school Thursday night or Saturday morning. $10 seniors & students and $12 for adults. The schedule for the day is in the link. TVFOB division awards: Best Overall Affect, Best Visuals, Best Auxiliary (Color Guard), First Place Division! Please don’t forget to buy your tickets for D3 next Saturday at BSU where they will do the show for the final time. Schedule details will be posted soon. As discussed in previous parent meetings, we need to raise around $43,000 to operate the Instrumental Music Program at Rocky this year. Keep in mind, if we break the total down, it amounts to $300 per band student, and $250 per orchestra student. We appreciate the generosity of parents, extended family, and friends of the program that have already helped us toward our goal this year. Our SnapRaise campaign, Panda Express night, and direct donations have brought in $8,000. The currently-running Butter Braid fundraiser will bring in $5 profit for each braid sold. Every little bit helps, and by pulling together, we are confident we can reach our goal! How can I help? How do I donate? You can continue your support through cash or checks (made out to Rocky Mountain Instrumental Music Boosters) delivered to Mr. Dewitt, or online through the booster website. 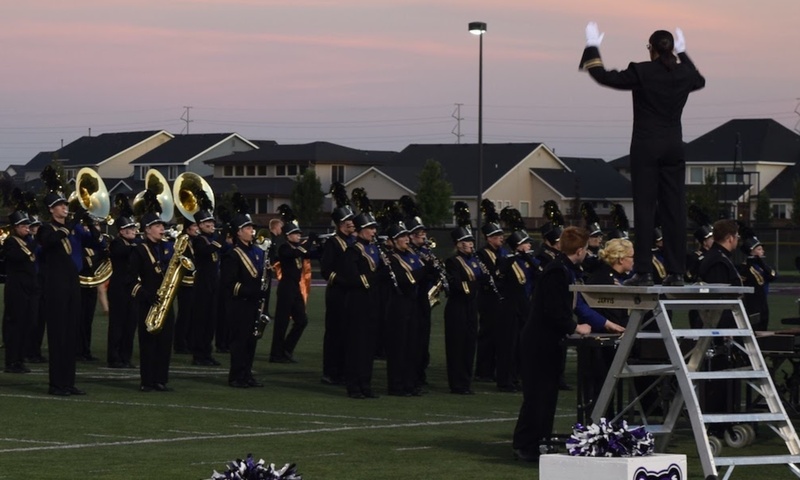 However, another option that could provide a greater tax incentive for you is to donate to the RMHS Music program via the West Ada Education Foundation. Idaho residents are eligible for a 50 percent tax credit for donations made to the Education Foundation. Check out their website to learn more about the potential tax benefits of your donation. …just remember to specify “RMHS Band” or “RMHS Orchestra” when making the donation through the Foundation so that it gets properly distributed. Thanks again for your generosity; the kids are very fortunate to have dedicated parents!